Last Friday, a 30 year old portuguese national was flashed by a speed camera going 185 km/h in an 80 km/h zone in St. Gallen, Switzerland. The speeding happened on a stretch of road between Trübbach and Sevelen. 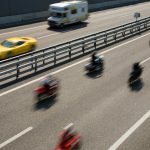 Penalties for speeding offenses like this, defined as reckless, are severe in Switzerland. In this case the man’s car was seized and he was required to make a security payment of CHF 2,000. When he appears in court he could face prison. 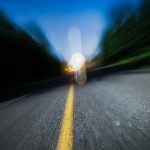 In 2013 severe penalties for speeding and drink driving were introduced in Switzerland. Penalties include vehicle confiscation, up to four years in prison and in some cases permanent loss of licence. Speeds that can result in a prison term depend on the zone. Speeding offenses of driving 70 km/h in a 30 zone, 100km/h in a 50 zone, 140 km/h in an 80 zone and 200 km/h on a motorway, all come with a minimum 2 year loss of licence and prison terms. 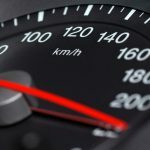 In 2013, a 23 year old Swiss man from Argovie received an 18 month prison term, a CHF 4,000 fine and two years without his licence for driving at 149 km/h in an 80 km/h zone, 69 km/h an hour over the limit. Are these penalties disproportionate? Some think so and are launching a vote to have them changed according to Le Matin. The organisers, mainly from French-speaking Switzerland, say the vote should be ready in around two years, adding that it will take time to mobilise Switzerland’s German-speakers, where the mentality takes longer to change. The 300 member team plans to publicise the vote’s text within a week. According to the vote’s organisers, everyone is at risk under the current speeding rules. Missing one speed sign can have serious consequences. In December, the national council showed it was ready to adjust the Via Sicura rules along the lines of what the vote organisers would like to see. However, the changes were rejected unanimously by a commission working for the states council, another organ of Switzerland’s government.